To place a call, dial 00, the country code, the area / network code and then the phone number. Press the green button to start the call. A phone number in the U.S. should be dialed in this sequence: 00-1-480-752-5105. To answer an incoming call, extend the antenna, and press the green button. When I turn on my Iridium phone, I am prompted to enter a PIN-code. What is it? It means your SIM-card is protected by a PIN code. The default PIN code is 1111. To protect your phone and account from unauthorized use we suggest you set up (and memorize) a new PIN-code for your SIM-card (consult the phone's user manual). The PUK1 code is supplied with your SIM-card upon activation via email. If you don't know or can't locate the PUK1 code, please contact your service provider (SATTRANS). Please note that in order for us to provide you with a PUK1 code, your SIM-card must be issued by Sattrans. We cannot provide any information on other providers' SIM-cards. If you don't know your service provider, contact Iridium directly (1-480-752-5155) for assistance. 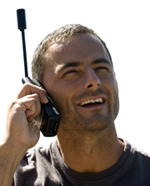 By dialing 00-1-480-752-5105 from the satellite phone, Iridium subscribers can verify that their phone is working properly and familiarize themselves with the phone's operation - all free of charge. Callers will hear a recorded message confirming that their call was completed and offering quick tips on proper handset usage. This automated service allows subscribers to test their phones whenever and wherever they like. Iridium's full international number is 8816XXXXXXXX. Please be aware that calls to Iridium phones from landlines or cellular phones are very expensive, so please check the rates with your phone company before calling. Any Iridium subscriber using Iridium voice service WITHIN the 50 United States, District of Columbia, Puerto Rico and the U.S. Virgin Islands will have access to the emergency 9-1-1 call system. I am not able to send / receive text messages (SMS). Check the recipient's phone number -- it should be entered in the full international format, e.g. 0014807525105 or +14807525105 (for US numbers). When sending a message from the Iridium phone, the phone must be registered in the Iridium network, otherwise sending will fail. If you have an Iridium 9555 or Extreme phone and can't receive text messages, make sure message folders (Inbox, Outbox and Sent) contain fewer than 30 messages total. Delete some of the messages to free up the space. Some mobile operators restrict sending messages to satellite operators. If you can't receive incoming text messages sent from a cellular phone, check if the sender's carrier has any restrictions on sending SMS to the Iridium satellite network. In 'Menu' select 'Messages' - 'Settings' - 'Service Center'. Scroll to 'Message Settings'. Press OK.
Scroll to 'Service Center'. Press OK.
How to send a FREE text message to an Iridium phone? One can send a FREE text message to an Iridium phone by visiting the Iridium Send SMS page. - Dial 1-480-768-2500 from your landline or cell phone*, you should hear the following message: "Welcome to the Iridium Satellite Global Network". - Enter the Iridium 12 digit satellite phone number (8816XXXXXXXX) you would like to reach. Press the 'Menu' key, scroll with the left/right arrow keys until 'Call Related Features� appears. For 9555 phones: Select 'Menu' - 'Voicemail' - 'Call Voicemail' (this will automatically call the Iridium voicemail number, +881662990000). Wait for the voice prompt asking you to �re-enter the Iridium phone number you are trying reach�. Enter your Iridium phone number (8816XXXXXXXX); you will then be forwarded to your personal voicemail greeting. The number of remaining minutes of calls to landlines/mobiles and the number of days to account expiration will be announced (in English). The number of remaining minutes of calls to landlines/mobiles, the number of days to account expiration and the expiration date will be sent to your Iridium phone as a text message (in English). NOTE: This option works only for accounts (SIMs) activated by Sattrans or its dealers. Send a request to support@sattransusa.com. Please include your Iridium phone number 88163XXXXXXX in the email. Call 1-877-688-4635 (US toll-free) or 1-240-497-0070 (from outside the US). If leaving a message, please clearly mention your Iridium phone number. If your prepaid account is low or close to expiration date, you should contact SATTRANS or your service provider as soon as possible to prevent suspension or deactivation of your Iridium satellite service. Can I change my prepaid plan to a different type without replacing my SIM-card? All unused minutes and the validity period of the existing plan will be forfeited upon conversion to a new plan. There is no extra charge to change the plans. Regular activation charges (if any) and the cost of the new voucher will apply.